To create an effective fertiliser plan for your turfgrass or playing surface, several key components of soil should first be tested, including: nutrients, pH, CEC, and organic matter. Soil analysis is an essential tool for the prediction of available nutrient levels for optimum plant growth and improvement of your playing surface. By their nature, sports surfaces will undergo plenty of stress. To preserve its health, quality and functionality, sports turf should receive all the oxygen, water and nutrients it requires. Therefore, soil analysis is vital to give groundskeepers the information they need about the current status of the turf and soil in order to create a fertilisation maintenance plan. A programme of analytical testing will ensure that equipment, seeds and fertilisers are being used with full effectiveness and based on concrete evidence – this will prevent under and over-fertilising, save money and reduce risk. Turfcare Specialists Ltd. can provide high-quality testing of soil nutrients to determine its nutrient status; in addition, we will also measure pH, cation exchange capacity and organic matter content. In the sports turf industry, both soil analysis and plant tissue analysis are recommended. The soil analysis provides information on the nutrients available whilst the plant tissue analysis provides a snapshot of the plant’s nutrient status and is a valuable tool in a fertiliser programme and in diagnosing problems. To perform a soil test, either purchase a soil testing kit, or arrange for a professional to regularly test your soil on your behalf. How do I create a fertiliser plan based on the soil report? The soil report results are back. The next stage is to interpret them and use the information to create a plan. Cation Exchange Capacity (CEC): Measures the capacity of the soil to hold nutrients with positive ions – a higher CEC means better nutrient retention. A low CEC soil will therefore require less fertiliser to be applied each time, but will require more regular applications overall. pH: In simple terms, soil pH informs on how acidic or alkaline a soil is. The pH scale is ranked from 1 – 14 with 1 being the most acidic, 14 the most alkaline, and 7 being neutral. Every species of plant or grass has a specific pH condition that it thrives best in – consider this before you adjust soil pH using fertiliser application. Generally, lime is used to correct acidic soils, whilst sulfur or sulfates will correct an alkaline soil. Organic Matter: Microorganisms and worms are essential for maintaining soil health – they break down nutrients making it easier for plants to uptake, and also contribute to aeration of soil. Organic matter is the primary food source for these organisms, which is why it’s valuable to gain some insight on your soil OM levels. However, the tests are not likely to reveal how much usable OM is present in the soil, which should be considered. Compost application is recommended for boosting the OM. Nitrogen (N): Nitrogen is not often tested, due to the tendency for levels to fluctuate constantly – so bear this in mind. Nitrogen is a key building block of many plant features, such as proteins, chlorophyll, acids and hormones. 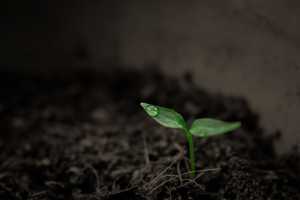 There are several techniques to boost nitrogen in soil, including the application of fertilisers, manures and nitrogen-fixing plants. Phosphorus (P): Essential for energy transformations in cells and for the process of respiration, usually soils have plenty of phosphorus and do not require adjustment – phosphates can also be very persistent in soils, so don’t overdo it. 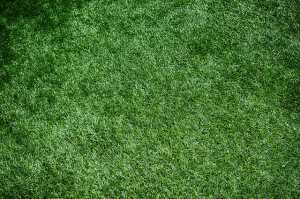 Phosphorus is generally applied on freshly-seeded lawns to assist the growth of young seedlings, which can be applied using the appropriate fertiliser. Potassium (K): Important for energy storage and the thickening of cell walls – it also helps turf to endure high stress situations and conditions. Signs of potassium deficiency may include yellowish, drooping vegetation. Maintenance of high potash levels is ideal. Choosing a fertiliser and associated plan may seem daunting. With many factors to consider, it’s always worth consulting an expert company, such as Turfcare Specialists, who have the experience and expertise to maintain every type of natural pitch surface. Remember: Any plan must also take into account the day-to-day schedule and maintenance of your turfgrass, along with seasonal timings and events. The team at Turfcare Specialists have been leading the way in construction, renovation and maintenance of natural pitch surfaces for over 30 years. We work with a broad range of clients, from small clubs or large organisations. With a vast range of services and products on offer to suit any soil or turf, we can help maintain those high standards of turf. For more information, please get in touch with our friendly team today.